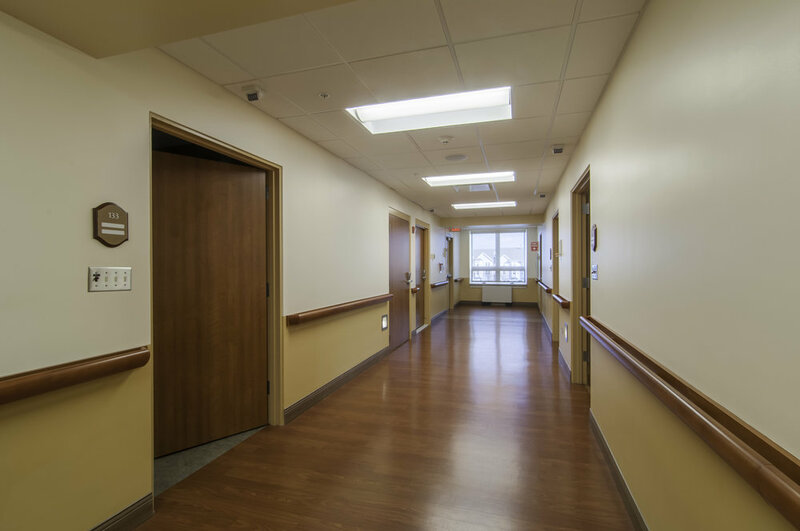 Citizens Care — JSR Associates, Inc.
JSR Associates, Inc. completed the functional programming process and senior living consulting for Citizen’s Care and Rehabilitation Center as a consultant to Morris Ritchie Associates, Inc. to provide review of existing conditions and operations with the Client, concept design planning, senior-friendly detailing, and specifications for use within a senior living setting. 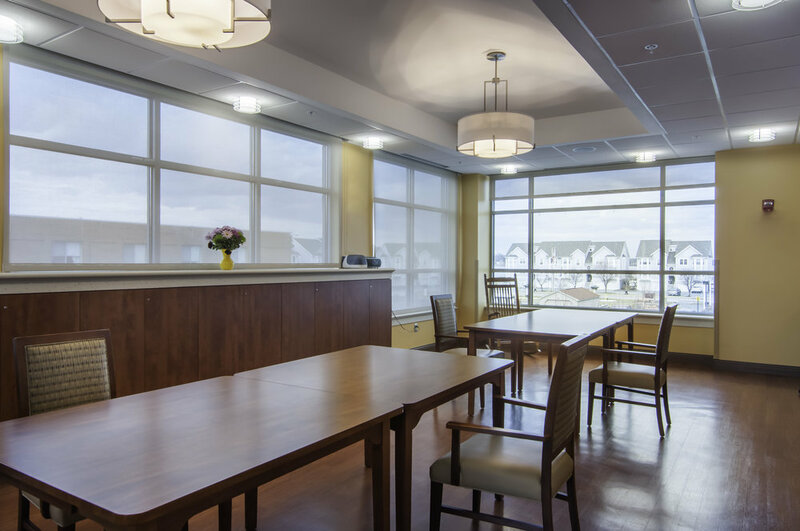 The renovation included the reconfiguring of an existing 26 room wing dedicated to memory care for residents with cognitive issues. 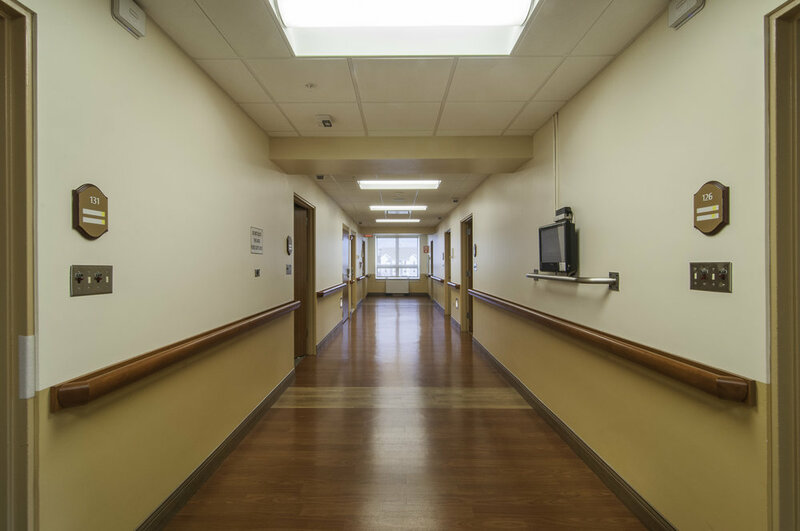 The existing double loaded corridor with the centralized nursing and staff space was the baseline for the re-invention of care and delivery of services. 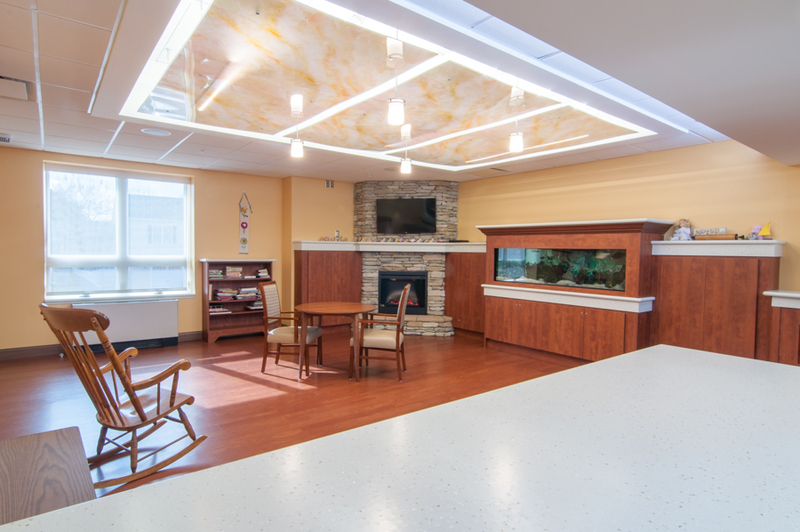 The existing conditions were evaluated and the re-design utilized a currently un-used exterior concrete deck and underutilized staff spaces to create a den/living/activity space, a country kitchen used for both serving food and for activities with residents, a smaller staff work area that is designed as approachable for the residents, a day-lit dining space, and a sunroom. 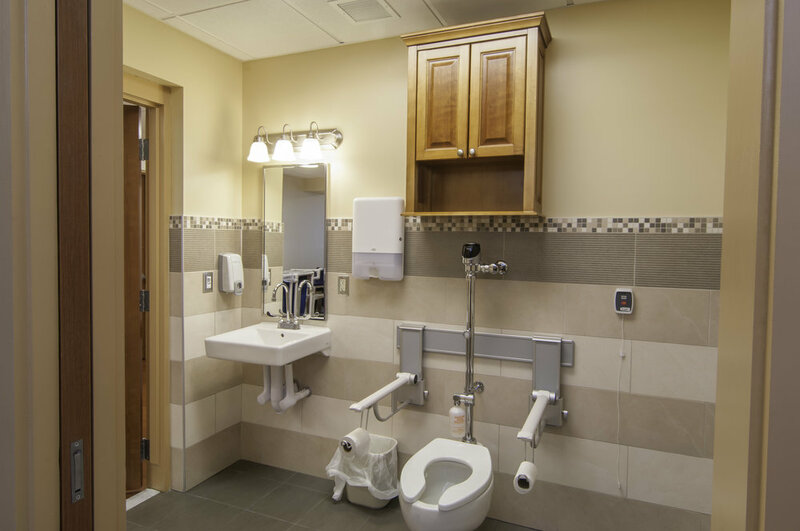 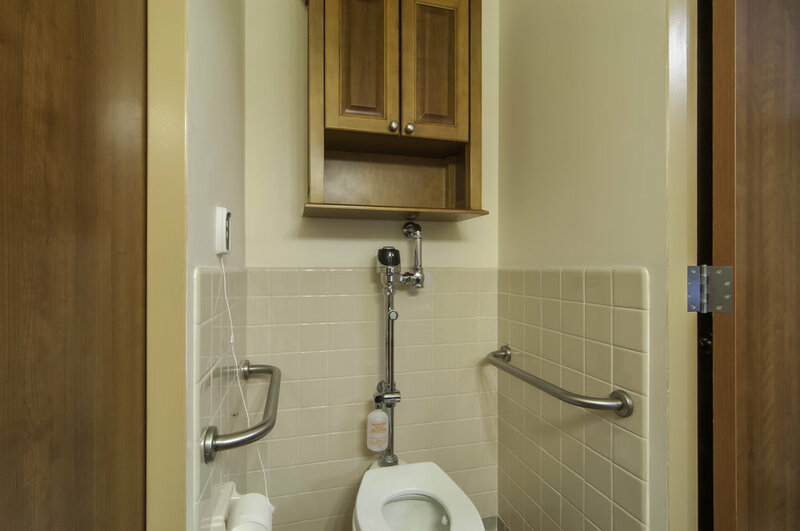 The access to existing windows and indirect lighting solutions were made possible through the redesign and a resident activity bathroom, staff bathroom, medication area, and storage were designed into the ‘household hub’. 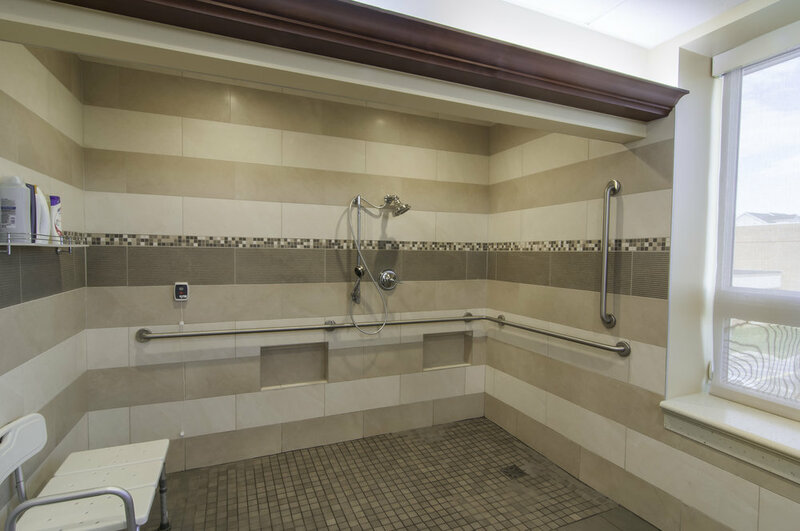 The existing shower and bathing areas were underutilized – and were re-designed to feature an Apollo bathing spa system, a bathroom designed with PressalitCare adjustable grab bar system, and both were subsequently combined with the hair salon to create brightly lit, usable, and desirable spaces. 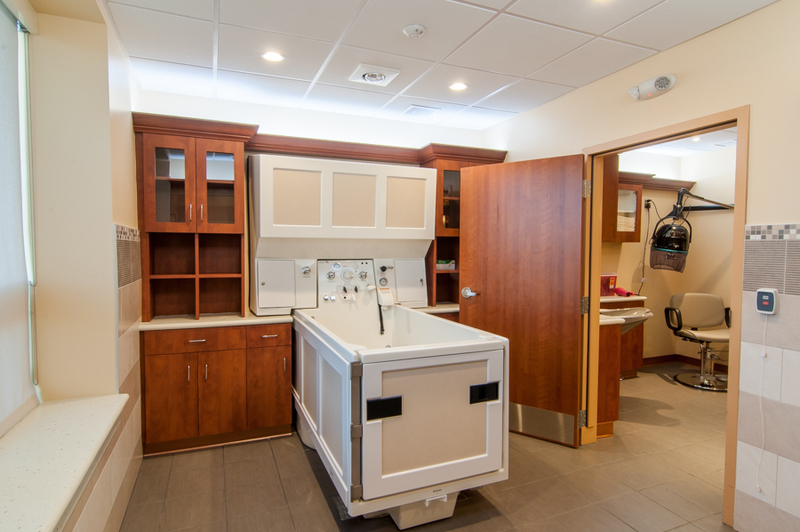 Other staff have been bringing residents from other areas of the building to utilize the spa tub and hair salon services, because of the aesthetic and usability of the equipment – supporting their mission of resident-centered care. 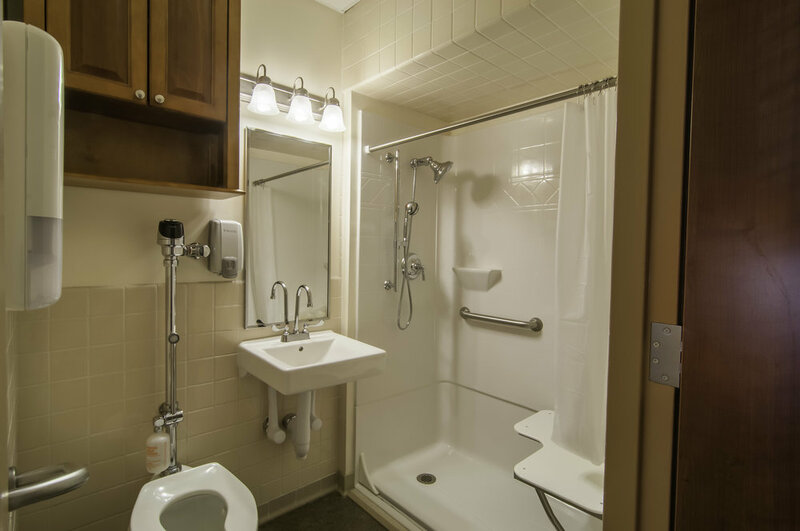 The double occupancy resident rooms were re-designed to support as much privacy as possible; including the layout of toe-to-toe beds staggered to give each resident more identifiable individual space. 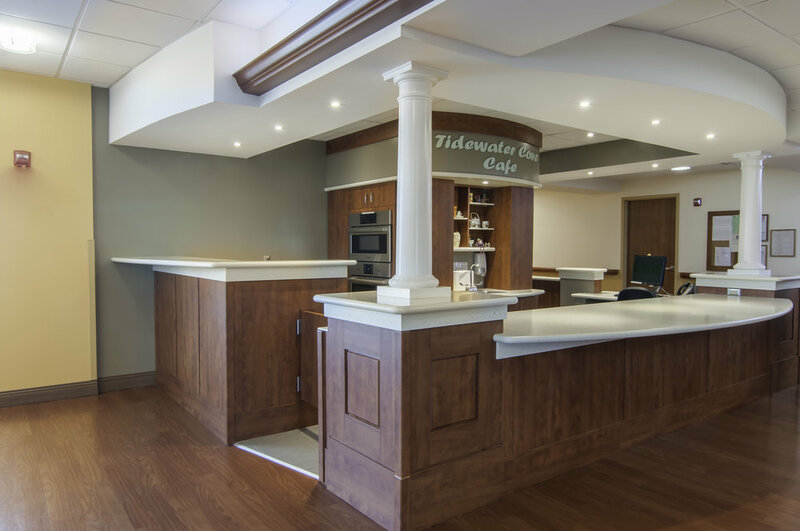 The casework solution was completed in conjunction with a furniture manufacturer and included new wardrobes, dressers, night stands, and accessories for the new room design.